Will legalising marijuana cut into liquor sales? The general consensus has been yes, ever since the Canadian government announced a few years ago that it would abolish laws against recreational use of cannabis. Until October 17, when those laws were repealed, weed-smoking Canadians had to rely on their doctor for a prescription, just as booze lovers had done during Prohibition. Medical marijuana has been freely available here since 2001, touted as a curative for all manner of ailments, just as alcohol was a century before. Dinner conversation with managers from a provincial liquor board, about a month after they had added cannabis to their inventory, revealed no consensus on whether or not it really was hurting liquor sales. Yes, volumes were down, one manager conceded, but he wondered if that was just the novelty of buying marijuana legally – and from the government, no less. It was premature, he felt, to see this as a trend, and he is undoubtedly correct. Predicting sales at retail is his job. For those of us who want to see the spirits industry continue to thrive, there is another trend that is more worrying. 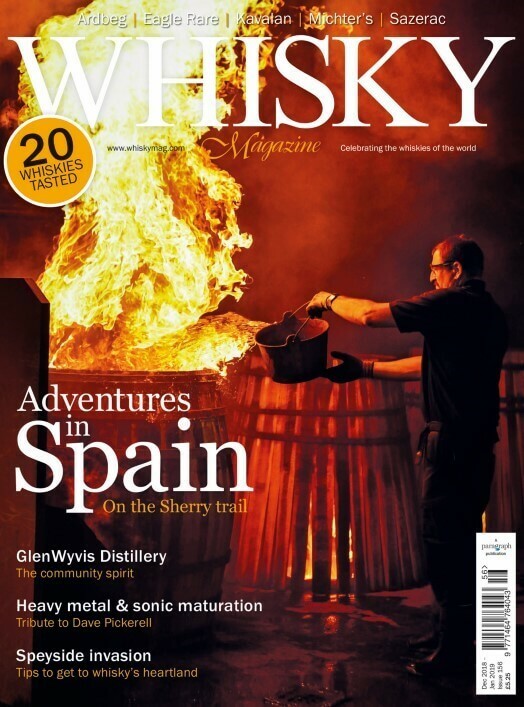 Interest in whisky, particularly the high-end drams that readers of this magazine enjoy, has so increased in the past two decades that people often say we are living in the golden age of whisky. Perhaps. But it is not that the quality of the whisky has improved? It hasn’t. Rather, the brands have tapped into a growing interest in connoisseur products of any kind, and have succeeded in positioning their once everyday drams as exclusive. Distillers didn’t do this; marketing people did. Marketing, without question, is the key element in building a brand for any product. Of course the whisky has to be good, but that puzzle was solved ages ago. The real crux is convincing consumers that your whisky is the best. Here is where cannabis is already hurting whisky. When the marketing savant behind Wayne Gretzky No. 99 Whisky left the company about a year ago, the brand lost a major asset. Not that her replacements aren’t good at their jobs. They are great, but she was a rare marketing genius and she left to work in the cannabis industry. We love our whisky, and are delighted to have so much variety to choose from. We talk about it at great lengths, often without remembering that as long as there has been whisky there have been people singing its praises. Our amazing discoveries are often prompted by carefully chosen words dropped in gently into selected ears by marketing people who know instinctively how to do so. Sometimes the very words enthusiasts use spontaneously to describe their latest discovery appeared first in a press release. Not that we are being manipulated, but the best marketing people know how to meet people’s need to discover something special. New challenges are especially attractive to the creative minds who have made the leading whisky brands what they are. In cannabis, they have a free hand to create something from the ground up. Moreover, unlike whisky makers, cannabis companies do not have established brands to fall back on if the marketing department misses the mark. So they are actively courting the most creative people. Marijuana, like alcohol, is a recreational substance, so people who have built spirits or beer brands are especially attractive to the cannabis industry. This year, one of Canada’s most dynamic whisky makers lost at least four key marketing people to cannabis. They’ll be replaced, of course. Business schools crank them out by the boatload, but there is an exciting new competitor out there able to do what it takes to attract the best of them. We already have great distillers who know how to make wonderful whisky, but that is not enough. If cannabis firms are going to hurt whisky sales, it will be by offering better, or just new, opportunities to our marketing folks. Let’s hope that if sales do decline we don’t just blame cannabis. We need to retain people who can make whisky seem more desirable than cannabis. Those who have the skills to do that are exactly the ones the cannabis industry is recruiting.